3 Blocks from Downtown! Great Deal in May..Book Now! boardwalk to the pier / beach. Vintage woodwork. Quiet neighborhood. 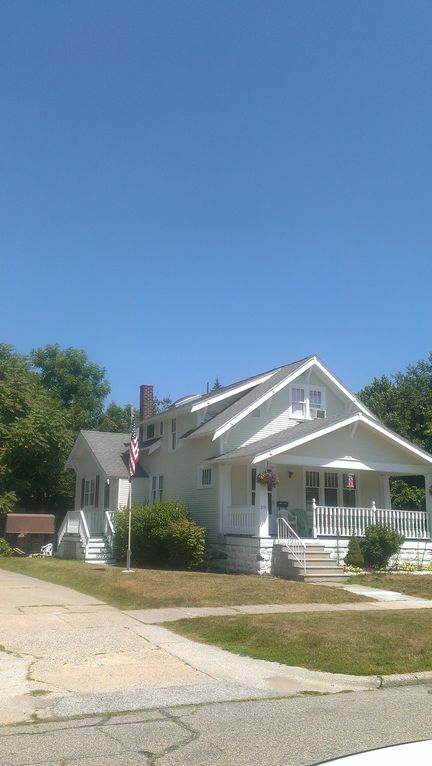 BEST deal in one of the best houses and best locations in the grand haven waterfront area. The house has two full bath, two bedrooms downstairs, one room has queen bed and one room has full size bunk bed. Upstairs has two bedrooms, one room has queen bed and one room has 2 full size beds and in the hallway has a twin bed . In the living room has a pull out sofa. No real way to secure! Got in late because they had not finished cleaning from previous renters. No real way to secure house when not there. They had a keyless, but the batteries were dead. Was told there was a skeleton key, but when you have multiple people in your party, that doesn't work. Tried up to one week before renting to get confirmation . Was never provided with number to call. Overall, not run like a business. No formal contract, I got an email. No confirmation of receipt of the deposit. The location is everything and more! Loved our stay! Simple easy transactions with the owner; very nice. The house was a great size; lots of beds and very clean. Great front porch and eating area in the back. Lots of off street parking. Great place to stay. Very clean and great location. Very quiet neighborhood and close to downtown and pier. Owners are great people and the property was very nice. There was a slight issue with the smoke detectors going off when exposed to steam from showers but sure owner will resolve the problem. Very nice place to stay close to downtown. One block from pier. You can walk just about anywhere. There is also a great rental shop nearby (mopeds, bikes, boats, etc). It was our first trip to Grand Haven and we absolutely loved it. Be sure to visit!